Chances are that you are drawn to Lexington for its fabulous town center, abundant recreation, and history. You may also like the idea of having your children attend some of the best public schools in the country. Newsweek recently placed Lexington High School 18th in the country on “Americas Top Public Schools” list. How do Lexington students get to school? The great majority of K-8 students ride the school bus each day. School buses pick Kindergartners up at their front door. After that, children walk to a stop close to their homes. The bus is $300 per year ($750 family cap) unless you live more than 2 miles from school, in which case it’s free. Fewer high school students ride the bus. It’s more popular to carpool, bike, walk, take the T (public bus) or the local LEXpress bus. LEXpress offers a tracker “App” so your student won’t miss it! Parking spots right at the high school are available to seniors and juniors on a lottery basis, but there is also plenty of parking along Worthen Road for all. Every Thursday is a half-day for elementary schools. This affords time to schedule doctor and orthodontist appointments, playdates, swimming and skating lessons. There are many after school programs available if this open half day is inconvenient. Students attend one of six elementary schools. The School District Map shows the assigned school for each street. Most often you’ll be assigned the closest school, but you’ll find plenty of exceptions. Which are the best Lexington schools and which should I avoid? All and none! Lexington is blessed with cream-of-the-crop schools. Every one of the elementary schools has been included at one time or another in media write-ups about the state’s top schools, MCAS scores, academic awards locally, nationally and internationally. Pick any parent in town and you’ll most likely hear that their school is “the best”. Below I share brief school profiles with a glimpse of some of the special and unique things about each Lexington school. If you’d like to contact current parents at any particular school, just let me know. I sell homes in each school district and am happy to introduce you to a current parent or two who would be happy to share an insider’s perspective. Do the Lexington elementary schools offer “before and after school” programs? The earliest drop-off time at the elementary schools is 8:15am. Lexington offers the popular after school LEXtended Day program, which caters to dual income families. The program is offered at all schools, though participating Bridge students are driven after school to the program at the Hastings school; pick up is at Hastings. The Josiah Willard Hayden Centre offers a well-attended after school recreation program as an alternative. Hayden picks up students at every school for their own program and brings them to a variety of carefully supervised activities from open gym, and athletic programs like gymnastics and swimming. What are Lexington elementary schools’ student:teacher ratios? All six schools fall in an officially reported range from 11:1 – 13:1. This ratio counts teacher aides as well as teachers; your child will not be in an 11 person classroom. You are likely to find 20-24 students per class; the schools try very hard to avoid class sizes over 22. Renovated in 2013, this outstanding, cheerful school is exceptionally well run. As principal, Mary Anton has brought enormous energy and runs the school with outstanding leadership and a gentle hand. With an abundance of parent volunteers, events like the International Fair, Talent Show, Spring Festival, Fenway Park field trip and Spaghetti supper are big events. The nationally recognized Math Team (led by MIT faculty) and the annual Science Fair stand out. As the proud parent of three Bowman graduates, I can vouch first hand for the nurturing environment created by dedicated and talented teachers. Fifth grade 3-day Nature’s Classroom program is anticipated by all. I love the outdoor theater, and the Bowman Big Backyard program which allows students (with an army of parent volunteers) to explore the neighboring Dunback Meadows conservation trials. The Bowman district offers easy access to Cambridge and Boston so expect many of your children’s classmates’ parents to teach at Harvard or MIT. 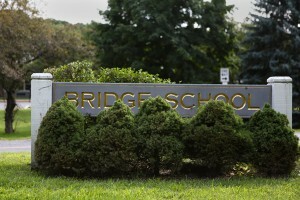 Renovated in 2013, the popular Bridge school is well known for its roller skating parties, beautiful new playground, and parent participation. In addition to all of the fun activities, Bridge frequently ranks among the top schools statewide in terms of MCAS scores. Located steps to the beautiful Lincoln Park and “Old Reservoir” swimming hole, Bridge is walking distance to Lexington center. This sought-after school is a major draw for many families moving into Lexington. All of Lexington was excited about the 2014 grand opening of the new Estabrook school building. Frequently awarded top five for MCAS scores state-wide, this school is sited in a lovely wooded area in the northwest part of town. Estabrook publishes the Estabrook Buzz!, available on their website and provides a flavor of the fun-loving nature of the school. A past PTA president mentioned off-handedly that the “Fiske school has more money [from parent donations] than they know what to do with.” Some come into town seeking out the Fiske school, which happens to boast a stunning three-story structure, which opened its new doors in 2012. Fiske is beautifully sited a one-mile walk through charming Meriam Hill from the Lexington’s Battle Green. This school boasts an attractive playground, plenty of parent involvement, and exciting events such as the annual talent show, the enormously popular Winter Frost fundraiser. The attractive new Harrington school opened in 2013. The original school stayed in place next door and serves as the school administrative building. 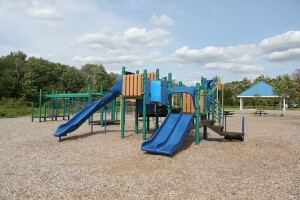 The school boasts one of the best playgrounds with extensive ballfields used by the town for soccer, baseball & softball most active faculty and attractive classroom sizes in all of Lexington. One of the best kept secrets is that Lexington’s own outstanding Pre-school makes its home right at Harrington. Their annual spring fair is a huge gala that draws families from throughout the town. Mariah Hastings Cary is the founder and leader of Lexington’s free public library; the town’s choice to name the school after her is no accident. The generosity she showed to the town is modeled by the faculty at Hasting who are known to be caring, friendly and supportive in order to help students achieve their highest goals. The school encourages its students to participate in events such as the National History Museum visit, instrumental chorus, photo essay projects and other field trips which encourage student explorations in learning. The supportive atmosphere is what drives parents from all over to move to the Hastings district. Lexington has two Middle Schools for grades 6-8. 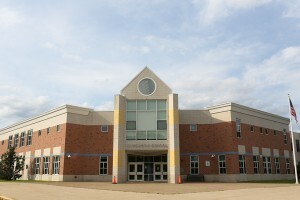 Jonas Clarke was awarded a National Blue Ribbon Award for “Exemplary High Performing” category and only two Massachusetts schools received the award (including Winchester High School) in 2013. But Clarke is right at home in the award-winning category. It generally lands among the top three middle schools in the state in terms of MCAS score. Principal Anna Monaco runs the school with an enthusiastic, loving and intelligent hand. Clarke also boasts one of the nation’s top math teams. Their team earned a place in the Top 5 team in many of the past ten years. Recently, William Diamond middle school was ranked in the 98th percentile based on English, Science and Math MCAS scores. The wide spread success of the student body cultivates a collaborative, learning focused atmosphere that is welcoming but challenging to all students who attend Diamond. The large diversity of clubs such as the math, chess, drama, and cheerleading clubs add to a rich after school program that includes successful varsity and intramural sports teams. The friendly competition between Diamond and Clarke drives both schools to academic and athletic success. Diamond also assigns students to a close team, where students take core classes together but can interact with other students easily through elective classes and after school programs. Diamond has its own ski trip, Quebec trip and Mexico trips which give students opportunities to expand their horizons. Lexington has one public high school located in the center of town. Lexington High School is consistently ranked among the best, on both local and National levels. Niche.com ranked LHS #1 in 2016 and Boston Magazine ranks LHS repeatedly in the top 5 state-wide. For the past two years Lexington was ranked #2 and #3. Lexington High is indisputably on par with the best private schools. With nearly 2,200 students, LHS is considered a mid sized public high school. Academically, it’s truly college prep; Harvard recently noted that LHS is its #5 feeder school; #1-4 were top private schools and/or magnet schools such as Boston Latin. But it’s not just the academics. Sports are popular and excellent (recent state championships include track, soccer and softball; with swimming, baseball and lacrosse also top programs). The theater and music departments are unparalleled. I love telling people that Lexington High theater productions are the cheapest source of top-notch entertainment around. Once you go you’ll be convinced that more than a few students on that stage could easily be Broadway bound. If your child is not a top scholar or athlete, it’s not a problem. Classes are taught at all levels and there are so many clubs and activities that every student can find his or her place. With a minimum GPA, students are allowed off “campus” for lunch for their Junior and Senior Years. Because of the demand, Lexington schools will not schedule a tour or even facilitate a visit until you’ve purchased a home (or have a rental contract in hand). Once enrolled, the schools do a lot to create a small environment. Despite its size, Lexington embraces new students. Current students get excited to see new classmates. If your child transfers mid-year, they’ll be assigned a “buddy.” As a Junior, my daughter was assigned a buddy to take under her wing. She loved showing this new junior from Nevada and his Freshman little brother the town and introducing them to new friends. Students get assigned a homeroom teacher, with whom they stay throughout high school. Students love this, and it’s another great way that transferees can quickly make lasting connections. Minuteman Tech is a place for students who want to get to the working world quickly and use their time in high school to learn a trade. Minuteman provides students with rapid growth, real world practice, expert advice and hands on learning. It has an excellent reputation and is known to send students on to top colleges as well. 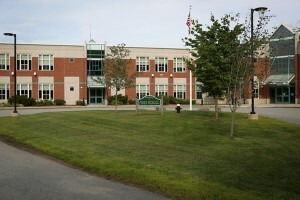 More on Minuteman Regional school can be found here: /minuteman.org/. LexFun! is a network dedicated to helping families with young children by giving them access to a community full of support, resources and friendship that enriches the lives of families with children under 5 years old. Full of events such as baby sitter socials, potlucks, community service and playground events, your family will grow connected to other families and plenty of social opportunities for your child. This is a fabulous resource for newcomers with small children. Lexington is home to the college prep Lexington Christian Academy (grades 6-12) and the Waldorf School (grades K-8). Lexington also offers an ideal drive to many reknowned private day and boarding schools. A few of these boasting a strong Lexington contingency include –Brown, Buckingham & Nickels, Belmont Hill, Fenn School, Philipps Andover, Concord Academy, the Rivers School, Gann Academy, Dana Hall, Nashoba Brooks, Middlesex and Newton Country Day, to name several Please see the complete directory of Independent Schools (http://massachusetts.educationbug.org/private-schools/county-middlesex.html) for full details. 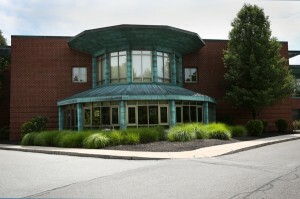 Abutting 185 acres of conservation land and athletic facilities in historic Lexington, the Waldorf School of Lexington, a preschool to grade 8 independent school, offers an experiential learning environment that integrates visual arts, music, drama, and movement with a classical education of math, language arts, science, social studies, and foreign languages. At Waldorf, the children stay with the same teacher for their entire duration, which allows the teacher plenty of time to learn how to accommodate each student’s learning style. Because physical movement and well-being are critical to children’s healthy development, WSL also promotes physical activity and exercise through games and sports, including after school soccer and basketball in the middle school years as part of an independent school sports league. Cultivating critical thinking, creativity, and perseverance in its students, WSL strives to instill in them an enthusiasm for learning, skill in collaboration, and confidence to engage energetically in a changing world. The Great Meadows is also a short walk from the Waldorf School. If you want to learn more about Waldorf, please the Waldorf School website.